Pender Community Hospital CEO Richard Thomason in the lobby of the health center's new building, which was scheduled to open this month. The construction is one of several projects driving growth in the Thurston County, Neb., community. Work continues on the new Pender Community Hospital in Pender, Neb. The $20.5 million hospital is expected to open in mid-February. The $20.5 million Pender Community Hospital in Pender, Neb., opened in early 2012. It recently received a $400,000 grant for a new CT scanner. Derwin Roberts, president of Pender Economic Development Inc.
Housing void presents surprising challenges in Pender, Neb. PENDER, Neb. -- Whenever Pender Public Schools hires a new teacher, the housing search begins. Finding the new employee a home to rent or buy often takes several phone calls. Superintendent Jason Dolliver said no one's ever cited a lack of housing options as a reason for turning down a job at the school, but "it's just a problem whenever we have someone new." It's not just Dolliver's problem. Last fall, Thurston Manufacturing Co. in Thurston, Neb., just five miles north of Pender, created 25 new jobs. Chief Operating Officer Ryan Jensen said 10 positions remain unfilled. "I'm sure the lack of available housing in Pender has something to do with it," Jensen said. Pender Community Hospital CEO Richard Thomason has seen the same thing every time he's hired a doctor. He experienced it himself. "I ran into that problem when I came here trying to find a place to live," Thomason said. The lack of available housing is an issue, but one that any community the size of Pender -- population 1,002 -- would love to have. Large employers are adding jobs. A new hospital with the potential to create new jobs is opening soon. A regional social services agency is moving its central office and 40 employees into Pender to occupy the old hospital. "We're just short of housing. It seems like if something good comes up, it's snapped up in no time," said Derwin Roberts, branch president of Charter West National Bank and president of Pender Economic Development Inc., which has focused energy on alleviating the town's housing crunch. "It worries you a little bit when you're trying to grow your community and your economy." Of about 500 houses in Pender, recently only three were on the market, Roberts said. It's common for a house to be sold before it's even advertised for sale. Roberts estimates that 65 percent of the town's workforce commutes, and it's likely some of those workers would like to live in Pender but can't. The situation is tough for workers, who can see paychecks chewed up at the gas pump when forced to live in another community and commute to Pender. "I'm sure that for people not coming in or people not taking a job, that has a lot to do with it," said Jensen, whose company employs 105 people who design and make Blu-Jet fertilizer application and tillage products and Circle R side-dump trailers. "I think there is more that could be done. Pender has done a great job being creative to solve the problem." A 2009 Pender Economic Development housing study found a lack of decent, affordable houses for first-time buyers, especially low- to moderate-income families. The study recommended that by 2020, Pender should develop 38 new housing units, 18 of them rental. It also suggested rehabilitating 44 homes and demolishing another 12-15 that are in deteriorated/dilapidated condition. The findings reinforced what many in town already knew and have spent much of the past decade trying to address, Roberts said. Pender Economic Development raised money for a program that assisted first-time home buyers with down payments. It secured funds to help low-income owners improve their homes. The city has demolished a few run-down homes, clearing lots for new ones. Lots also are available in two housing subdivisions. Roberts said another down payment assistance program is in the works. Pender Economic Development is working on a plan to build four duplexes to provide affordable housing for elderly residents, allowing them to downsize and free up housing for younger families. There are hopes to raise funds to buy older properties and rehabilitate them for sale or rent. "It's hard to be patient, but we're getting our arms around the problem," Roberts said. On the Pender Economic Development agenda is developing a long-range housing plan. Suggestions already include adding more low- to moderate-income housing and rental properties. The housing shortage can be frustrating at times, Jensen said, but when your community is adding jobs rather than losing them, it's not a bad situation to face. "If you had to choose which side of the problem to be on," he said, "we're on the right side." Pender, Neb., already boasts a number of large employers in and near the community. A new hospital may help attract more businesses to a town that has seen some of its big employers expand recently. "Any time a larger employer is looking for a place to relocate or locate, health care is always a driving force. It's important to them. A modern hospital is a good draw," said Pender Community Hospital CEO Richard Thomason. What a draw Pender will have. 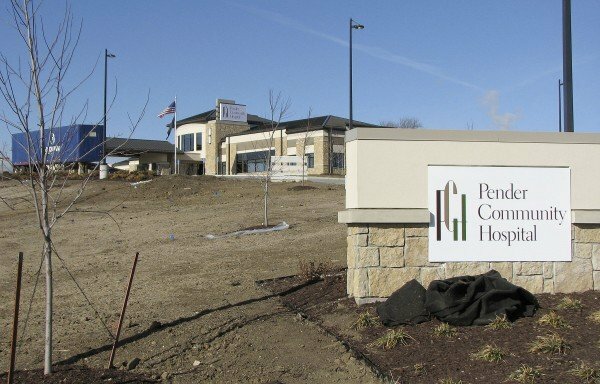 A new $20.5 million hospital is set to open in mid-February. The 111 employees will move from a building built in 1956 and added onto over the years into an attractive building that from the outside looks more like a vacation resort than a hospital. "We've had lots of good input from the community. Everybody's been excited. 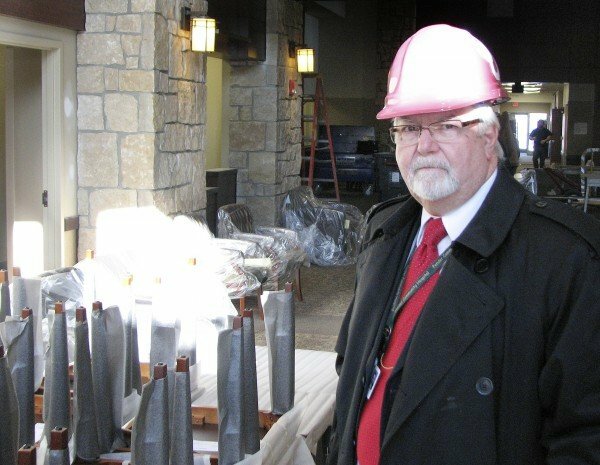 This has been the cleanest building project I've been through," said Thomason, who's overseen construction of three other hospitals in his career. The 21-bed facility has already led to job growth. Thomason said four full-time positions have been created as the hospital expands its services. More could be added once the hospital is up and running. "If we discover we have a need, we will take steps to satisfy that need," Thomason said. "We've got a little bit of growth room in there." The hospital's 55,000 square feet are laid out along a floor plan that allows hospital staff and visitors to move efficiently from one wing to another. The hospital was designed with modern medical practices, which emphasize outpatient treatment, in mind. Hospital workers have feelings of excitement, awe, nervousness and a little sadness as they prepare to move out of the current 35,000-square-foot hospital, Thomason said. "I've got people that have been with this hospital for 50 years, and this is the only place they've been," he said. "I'm sure there will be some tears on the day we move." The current hospital will remain standing. Goldenrod Hills Community Action Inc., a private, nonprofit social services agency that serves 14 counties in Northeast Nebraska, is preparing to move its main offices from Wisner, Neb., into the building this spring. PENDER, Neb. | For much of the past decade, new employees of local businesses had a hard time finding a place to live here.